Video is an excellent way of showing the work of your charity, and the people that benefit from it to funders and potential benefactors. Modern charity websites are increasingly are being used as a hub for the charity's activities ranging from providing basic information to visitors, through offering ongoing support to beneficiaries of the charity to online donation. Never before has the process of gaining information been more closely linked to the ability to give, 24 hours a day, 7 days a week, 365 days a year. Media Inventions offers substantially-discounted rates to bona-fide charities and always undertakes at least one charity project a year for no fee, so pick up the phone or drop us an e-mail about your next project! Community events can also benefit from the video approach. Remember the ideas on this page are not exhaustive and just show some examples of our work in supporting charities and community activities. Fundraising events from dinners to charity auctions raise a significant amount of funds but many charities miss the opportunity to cover the event on video. This offers a number of benefits such as producing a DVD or BluRay for sale to attendees and others, or a web clip to promote future events. Also, if patrons or celebrity endorsers are at the event, its an ideal opportunity to get their comments on camera. Media Inventions ability to capture these events with broadcast quality HD cameras and grip, including steadicam seen in this clip, make us the first choice to produce your charity fundraising event video. Media Inventions has over ten years experience of working on charity and community shows and events; this helps to ensure that your charity gets the maximum possible return from your event and raise the largest possible amount for your charity. Most charities have a constant battle to raise funds to continue their work. Video is a powerful medium and is portable, allowing benefactors to SEE what the charity does. Video-based promotions have a high perceived value, and, unlike junk mail, rarely get thrown away without being seen. Combine this with the increasing costs of full-colour printing and the reducing costs of media, DVD and web-based video can offer a cost-effective method to promote your cause. Media Inventions offers a range of services including design, scripting and production resources to help you create your own professional video production. The example below shows a video produced for a charity specialising in providing flexible, immediate and sustained day care for sick and disabled children. This piece is the most recent in a partnership dating back to 2006. Video provides an ideal medium for "not-for-profit" organisations to publicise their work whether to raise awareness, attract new members or raise funds. Well-produced video can be used to highlight success stories in one part of the country - encouraging similar projects in other parts of the country. Media Inventions has extensive experience of working on a wide range of community-based projects. In particular, the company has produced a range of materials primarily promoting community involvement for one of the largest social housing landlords in the UK. 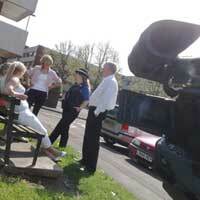 This involved filming throughout the UK with tenants and residents, as well as official bodies such as the police. Media Inventions ability to understand the issues surrounding the topic matched with experience in dealing with a wide cross section of people makes us the first choice to create your video production. Video can be used effectively to highlight and raise awareness of an issue and support a campaign. Using a combination of techniques including live action, animations, interviews and first-hand testimonials, a video produced by Media Inventions can be used to influence public bodies and gain support for a cause. 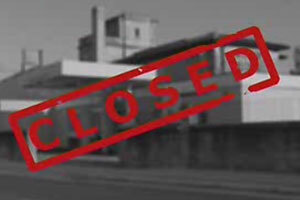 The example in the link below is an extract from a video produced on behalf of the Leauge of Friends of Trowbridge Hospital in response the the Primary Care Trust threatening to close the town's hospital. Leading business figures, the town's MP and the editor of the local paper joined members of the public in supporting the initiative.